We’ve featured this clever seating solution in the past but it definitely deserves another shout out for its innovative design. Created by Philippe Malouin, this chair has one rare feature: you can hang it on the wall. The backrest is shaped like a hook so you can simply hang the chairs to save even more storage space. This chair also folds flat for easy storage. 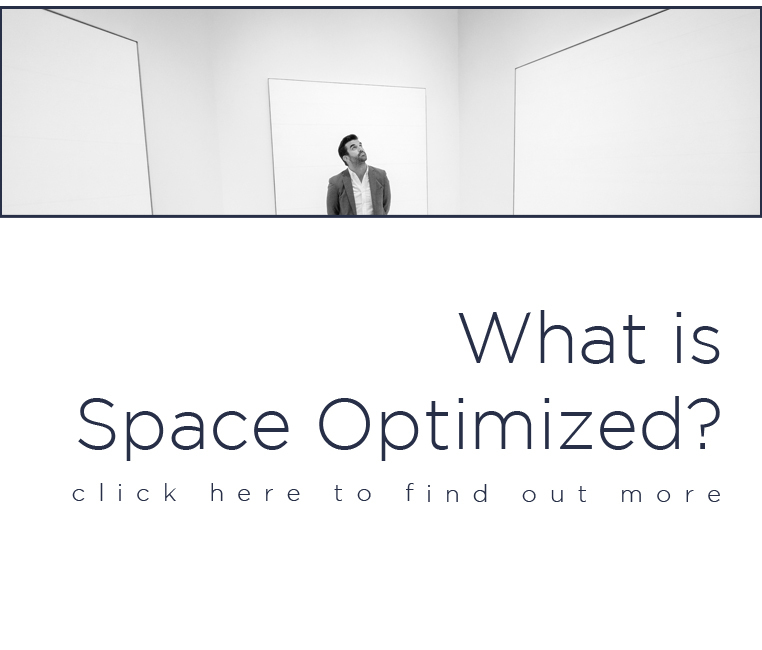 I love the sleek, minimalist design in particular. It’s a great chair for those who love clean lines and sleek details. 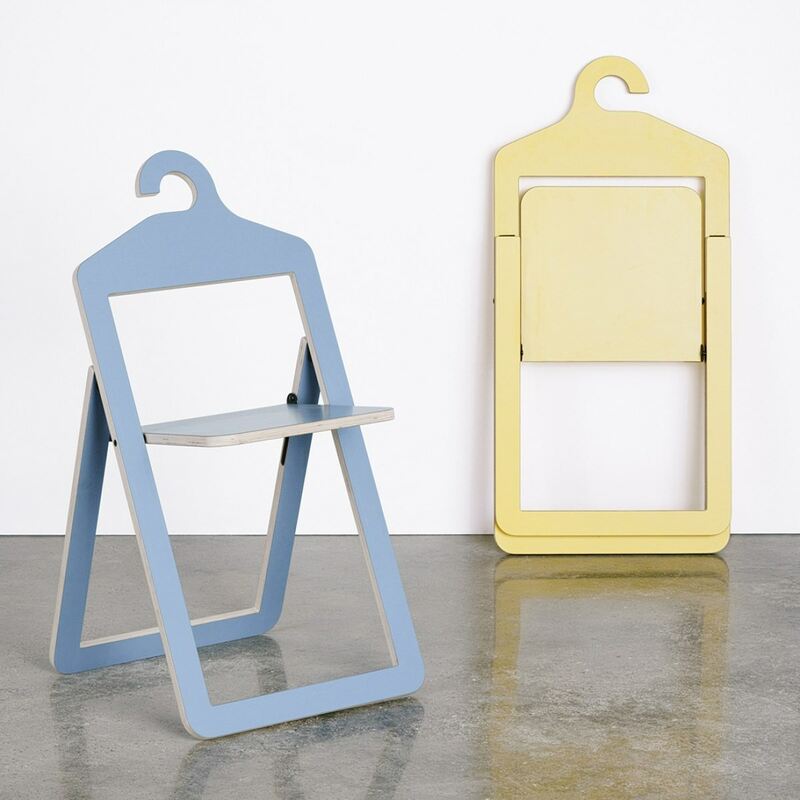 The Hanger chair comes in an array of colors to choose from, there is something for everyone. Conceptualized by NYC-based designer Dror Beshetrit of Studio Dror, the Pick Chair is a multi-purpose, transforming chair made for a microapartment. It’s quite a unique piece that could transform a space in several ways! With a flick of the wrist, the Pick chair turns into a functional piece of furniture. Lay it flat and it turns into a wall art. 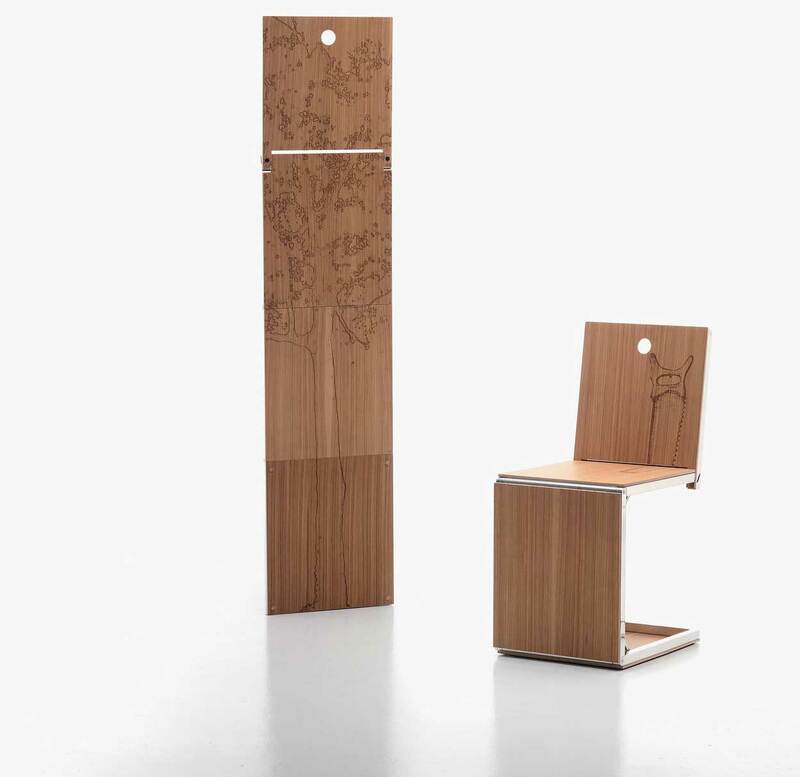 The Pick Chair is made from wood veneer with a built-in hinged metal frame. The chair’s surface could be engraved with a graphic image. It hangs flat on the wall when it’s not in use. When you have guests over, simply take the chair off the wall, set it on the ground and the built-in hinges turn to form the seat, backrest, and base in a snap. The Ollie Chair is a shape-shifting piece of furniture designed by Brooklyn design and engineering studio RockPaperRobot. Made with a combination of wooden slats and textile canvas, the Ollie Chair lies flat for easy storage. When you’re ready to use, just pull the string at the back of the metal base and the piece unfurls into a chair. The low profile of the Ollie chair means it maximizes floor space, perfect for a microapartment with little room to spare for bulky seats. The Ollie Chair is made with articulated aluminum body attached to a flexible red cedar tambour so it’s quite lightweight yet stable. 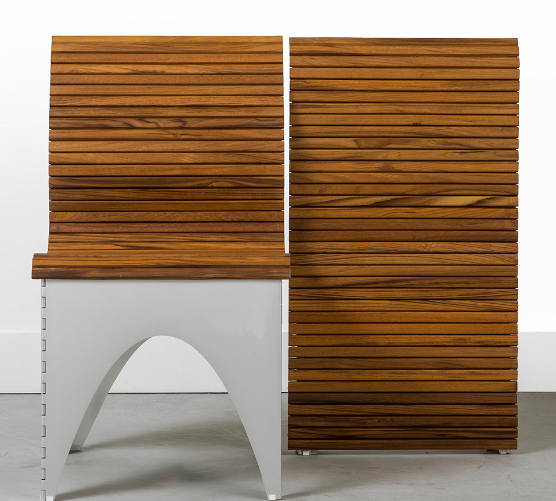 RockPaperRobot specializes in kinetic furniture. 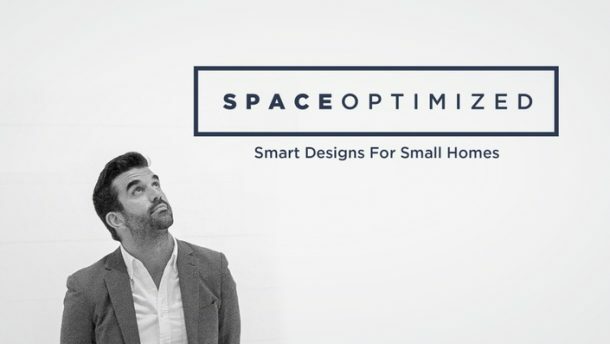 The design studio fuses robotic features, origami techniques, and seamless aesthetics to enhance the versatility and functionality of a space. 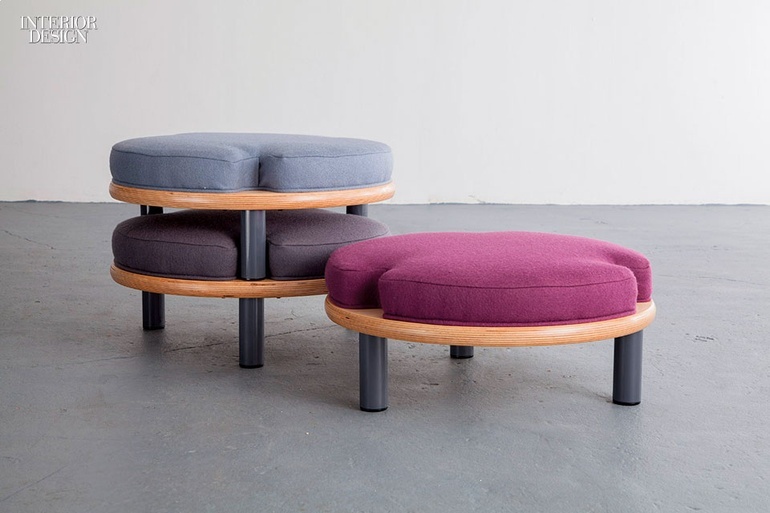 The humble ottoman is a multi-purpose stool that works as extra seating for guests. Although most ottomans are compact, opting for stackable ottomans should save you more space for storage! David Gaynor’s Ida White Foot Stool is one good-looking ottoman. It’s compact and stackable too. 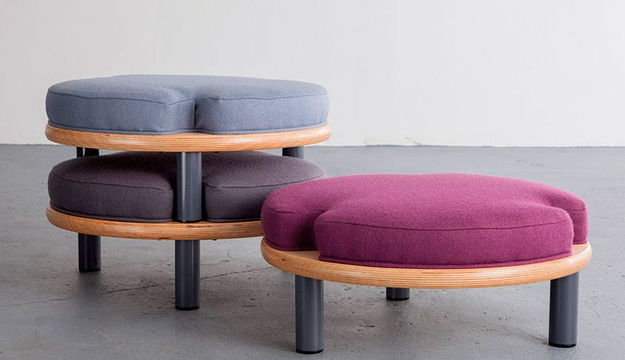 When not in use, just stack these pretty ottomans in a corner. The minimalist design and neutral colorways should match any interior. A variation of David Gaynor’s stackable ottoman is the Wayfair’s Caja Ottoman. Made with quality Baltic birch, this contemporary ottoman works as a footrest and extra seating with extra storage to boot. The ottoman features a tool-free tension lock mechanism that allows you to assemble and disassemble the piece easily. And when not in use, simply stack these stools up until you’ve got company. Designed by Dutch designer Douwe Jacobs, the Flux Chair is an award-winning folding chair that looks like a giant envelope that unfurls into a stunning chair. The Flux chair is made from sturdy and sustainable polypropylene. It’s lightweight at only 11 pounds but can support up to 345 pounds. When not in use, this gorgeous chair folds flat so you can fold a set and stow them away until the occasion calls for it. The chairs are sold in sets of 4 and they have optional padded seats that come in an array of colors. Paul Menand re-imagines the concept of stacking chairs with the Triplette Chair. At a glance, the Triplette looks like an ordinary wooden chair. But the piece actually conceals 2 more chairs in plain sight! The piece is put together so seamlessly that you’re getting 3 chairs for the price of 1. This 3 in-1 chair makes a fantastic seating solution for a microapartment because it’s space efficient, lightweight, and stylish. Madrid-based studio Kawamura Ganjavia’s Oyster chair is a sleek, contemporary felted seat that’s designed to expand your seating area. When folded, the Oyster works as a cushion. But when unfolded, it turns into a fabulous cushion seat! It’s a fantastic shape-shifting chair for intimate get-togethers as long as your guests don’t mind sitting on the floor. Don’t worry, the Oyster chair offers more back support than your regular seat cushion. The sleek, contemporary design is perfect for modern spaces and casual hangouts. You’ve seen the viral video, the Flexible Love is the piece that put Expand Furniture on the map. It’s an expanding chair that unfolds into a 16-seater sofa. Made from sturdy honeycomb material that’s made to last, the Flexible Love can be configured in many ways. 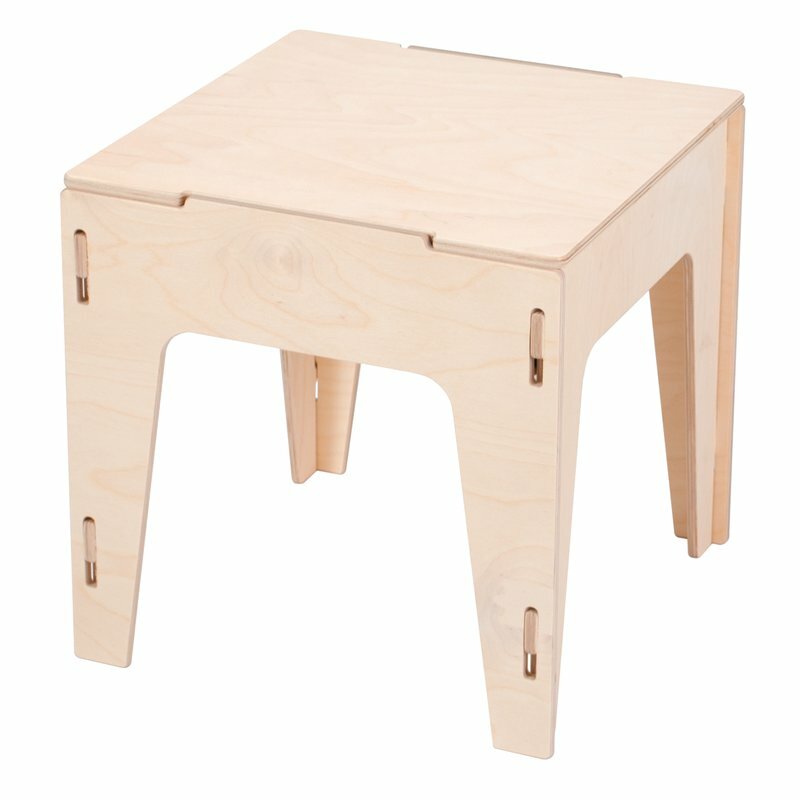 It bends and moves, able to fit small spaces with ease. The Flexible Love chair is more than just a functional piece of furniture, it’s a work of art!